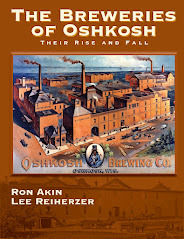 Thursday night, the Society of Oshkosh Brewer’s made good on another of their beery promises. The club donated the proceeds from their Casks and Caskets homebrew beer tasting to the Oshkosh Hunger Task Force. 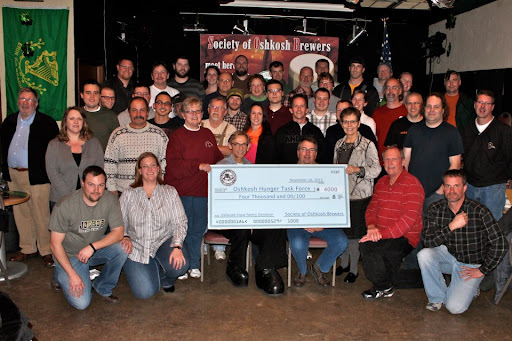 To round things up, the SOBs even kicked in a few hundred bucks of their own cash and presented the Hunger Task Force with a check for $4,000. 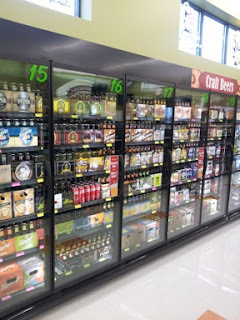 Now if we could only get a homebrew isle at the Oshkosh Area Community Pantry! Anyway, it goes to show that when you get good brewers and good drinkers together, good thing sometimes happen. With Thanksgiving in sight, our thoughts turn to the comfort of strong beer and the balm so desperately needed after a long day filled with gluttony, professional football and the taunting of blood relatives. Here’s one fer ya... Velvet Rooster, a Belgian Triple produced by Tallgrass Brewing of Manhattan, Kansas, is now available at Festival Foods in Oshkosh. It’s an easy drinking 8.5% beer, with a bit of apricot in the nose, a beautifully creamy mouthfeel and a swirl of fruity esters that finish with a good hit of peppery spice. Definitely worth a try. And it’s fun pouring a Belgian Triple out of a 16oz can. Sorta trashy, yet totally refined. One other quick tip: if you need something that your less beer-enlightened guests can glom onto during the Thursday feast, but don’t want to resort to Bud/Miller/Coors, pick up a growler of the German Pils now on tap at Fratellos in Oshkosh. It has a terrific, bready malt character with a firm, herbal bitterness on the tail end. It reminds me a lot of some of the pre-Prohibition homebrew lagers I’ve tasted recently. A real beer that anybody ought to be able to enjoy. In yesterday’s Northwestern was a short article admiring Jessie Jack Hooper, the Oshkosh suffragette and peace activist who came to prominence in the early 1900s. As outlined in the story, Hooper was a progressive with a keen sense of social equality and justice. On most of the issues she held dear, Hooper landed on the right side of history. But left out of the Northwestern piece was a less savory aspect of Hooper’s activism: she was a Prohibitionist. When it came to the question of booze, Jessie Jack Hooper’s egalitarianism went out the window. 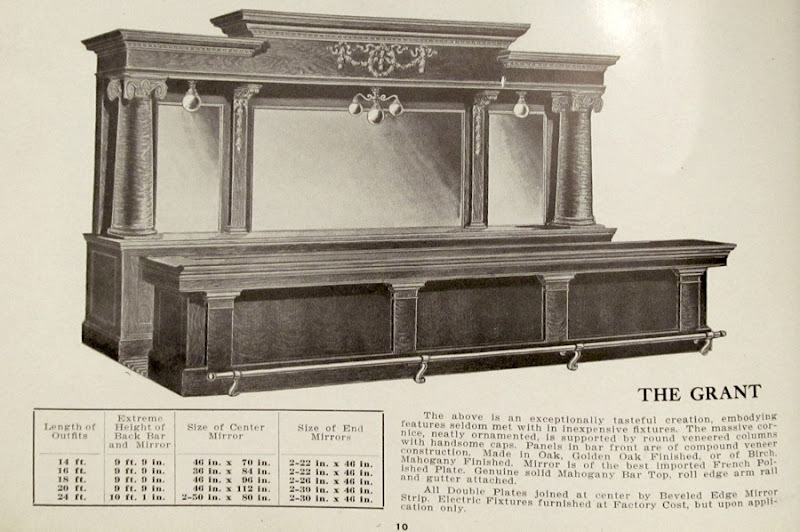 Hooper lived on Algoma Blvd., neighbor to the Paines and Sawyers, and was part of the affluent, old guard in Oshkosh. Her sworn enemies were the German-American brewers and as a nativist, she seemed to have few qualms about restricting the rights of ethnic, working-class populations. 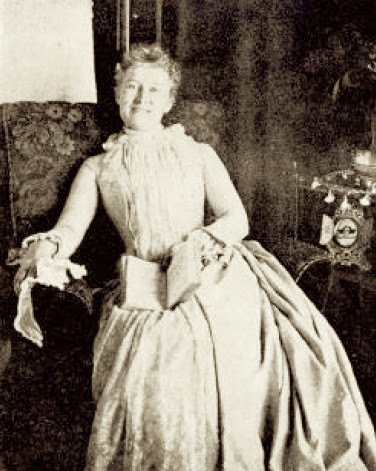 In 1922, three years into Prohibition, Hooper neatly summed up her stiff-necked views concerning Prohibition’s infringement upon individual rights saying, "People are talking about personal liberty. We know that that is a joke. There is not a person in the world who has personal liberty.” Odd words coming from the mouth of a person who had spent the previous decade fighting for a woman’s right to vote. At first glance, it seems Hooper was absolutely blind to her own hypocrisy concerning Prohibition. In 1917, the Milwaukee Journal reported that Hooper had confronted an unnamed Congressman who opposed both Prohibition and women’s suffrage. Hooper told the Congressman that if he didn’t believe in the prohibition of alcohol, he shouldn’t believe in prohibiting women from voting. Apparently, Hooper thought the same logic didn’t apply to her own set of beliefs. Hooper’s skewed reasoning makes slightly more sense when she explained the rationale for supporting Prohibition. 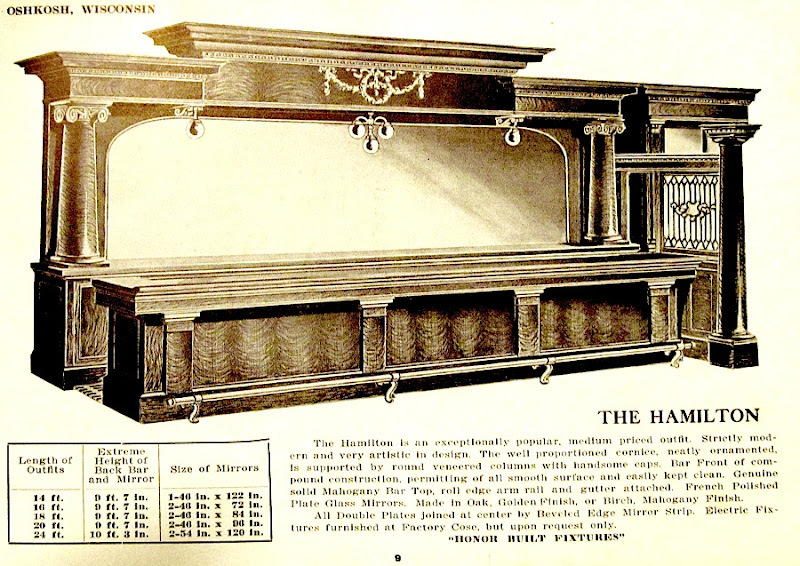 “Prohibition was not passed as a moral issue, but as a straight economic issue,” Hooper said in 1922. 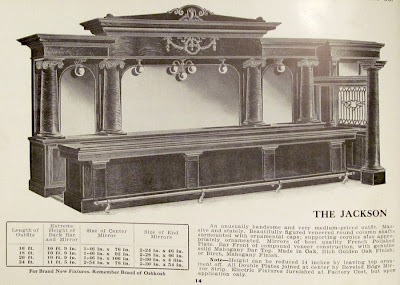 “The men of the United States found it was too expensive to have liquor.” To her credit, Hooper was bold about exposing the hypocrisy of her fellow elites who, themselves, never intended to forgo alcohol. She ridiculed them for their flouting of a law that was intended to benefit them financially without impeding upon their own fondness for drink. As for Hooper, she swore that she never imbibed. “I am bone dry,” Hooper said. “I am dry and will be until the end of time.” More’s the pity. Hooper, who had a habit of working herself sick may have benefited from the pleasure of a hearty beer at day’s end. For all her good works, she deserved at least that. Drink a Gallon of Beer Every Day! People who drink plenty of beer are always strong and healthy. Prof. Dr. P. Bauer, Berlin, Germany, to demonstrate the effect of beer on health, says: "Of the 75 employees of Haase's Brewery, each of whom drinks over a gallon of beer daily, 56 have stood the rigid physical examination for enrollment in army; of the remaining 19, eight are minors, three were found too small in stature and four were rejected for defects suffered by accident." Pure, well aged beer, like OSHKOSH BEER is a tonic, an appetizer, and a food that is nourishing and strengthening. Here’s to your health... Let’s celebrate the good guys: get out there and drink a gallon of beer tonight! 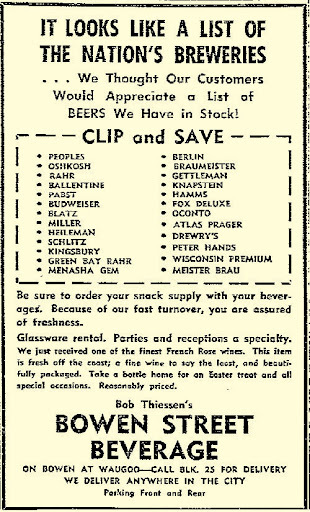 After grousing yesterday about the sad state of our retail beer selection in Oshkosh, I started thinking about what the good beer depots here used to sell 50 years ago. In some ways, it wasn’t a pretty picture. Basically, you were offered a bumper crop of pale lager for about eight months out of the year. In spring, the Bock beers would be rolled out for a couple months and in late fall you’d get a “high-test” Holiday Beer. The upside of that limited selection was that most of the offerings were made by regional brewers who had yet to completely abandon the idea that beer ought to actually taste like something. Still, the idea of drinking pale lager 70% of the time, doesn’t hold much appeal for those of us caught up in the craft-beer swirl. Which nicely illustrates what freaks you and I have become. From the beginning of beer, most beer drinkers happily chugged a single, regional style of brew that they were intimately familiar with. In many, perhaps most, places it remains that way. Not here. We want variety and we’re always looking to try something we haven’t experienced before; hence the dissatisfaction with our Pick ‘n Saves and Festival Foods. Yet, there’s no denying that these places offer more than Bob Thiessen ever dreamed of stocking in 1956 over at the corner of Bowen and Waugoo. 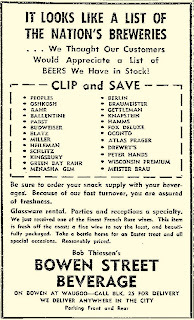 Look at his ad, 25 brands of beer and – with the exception of a couple light ales – each of them are pale American lagers. I wouldn’t mind going back in time and checking his stuff out, but I don’t think I’d want to hang around for long. I’m thankful to have more options than they did in 1956. That doesn’t keep me from thinking, though, that things in Oshkosh could be a hell of a lot better. If you regularly travel north out of Oshkosh on Highway 41, you’ve probably already noticed the new Festival Foods being built in Neenah. It’s just off the highway at 647 S. Green Bay Road. The store opened on Friday and it’s now the best spot for buying packaged beer within 20 minutes of Oshkosh. They have a nice selection of craft and imported beer and they treat all of it well. It’s not as if this place could compete with Discount Liquors in Milwaukee, but it’s certainly on par with Woodman’s or Flanagan's in Appleton. And if your in Oshkosh, it’s just close enough and the selection is just good enough to make it worth the trip. You’ll find plenty at the Neenah store that can’t get your hands on in Oshkosh. I’ve been buying most of my packaged beer at the Festival here in Oshkosh, but that’s going to change. It kind of pains me to say that. You’d think our locals would have gotten wise by now to what’s going on in the world of beer. They haven’t. Our retail selection in Oshkosh remains mediocre at best. In fact, I’d say it’s even a bit worse than it was two years ago. The Pick n’ Save stores are a joke and Festival in Oshkosh has drifted back to giving a good portion of their craft section over to packs of Corona Light and beers of that ilk. Meanwhile, they continue to place their higher-end beers in their specialty-beer ghetto where it sits warm, slowly baking under fluorescent lights and rapidly degenerating. Sorry, but if you’re willing to treat unpasteurized, bottle-conditioned beer that way, you either don’t care or you don’t know what you’re doing. It’s odd that things haven’t picked up here on the retail side. If you look at the explosion of craft-beer taps that have come to Oshkosh within the past year (and there’s more on the way), it’s obvious that this city would support a better selection if it were offered. Until that happens, I’ll load-up in Neenah. 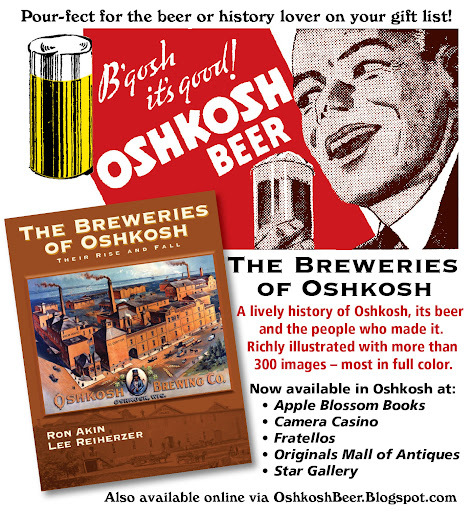 The new Oshkosh SCENE has hit the streets and in it you’ll find my Oshkosh Beer Garden article about the bars of Robert Brand And Son. You can also read it on the web HERE. Space being limited, I wasn’t able to include pictures of the old Brand bars, so I thought I’d post a few of them here. 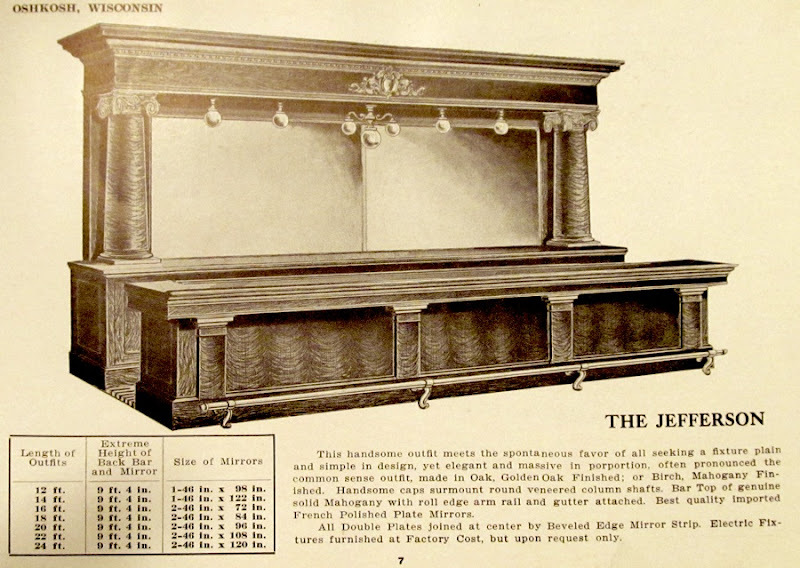 These were taken from a catalog the company published around 1910. 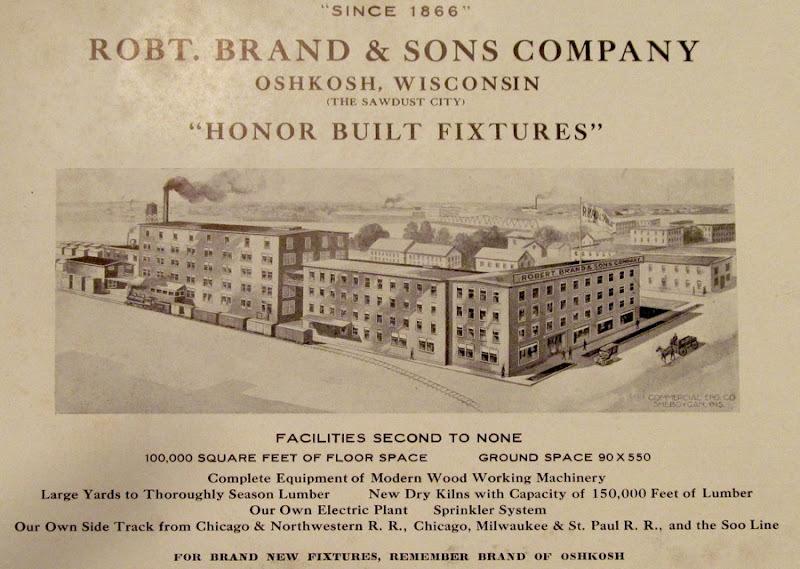 The first image shows a drawing of the Brand and Son Factory at the southwest corner of Ceape and Court. It had previously been home to the Oshkosh Furniture Company, but after Brand’s factory across the street on Ceape burned down in 1908, they moved into the buildings shown here. Following that are a few of Brand and Son’s striking bars. Notice that first one, The Grant. If you’d like to see what it looks like in person, head over to Bob’s Trails End. The Grant at Bob’s still looks terrific. As always, click on any of the images below to get a better look. 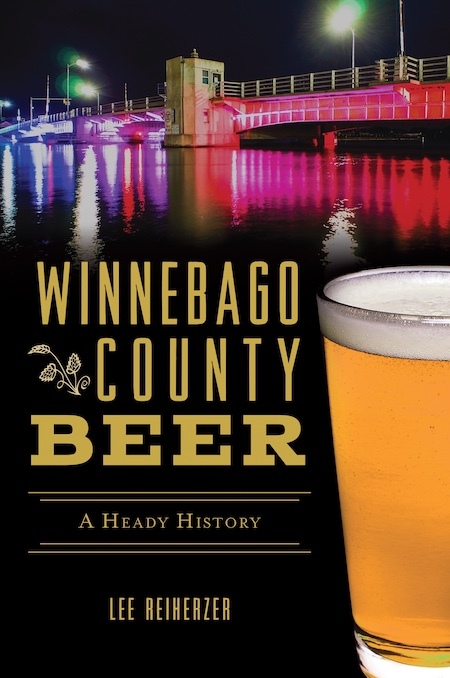 Here’s a beer that’s been making a lot of noise and it’s finally arrived in Oshkosh. 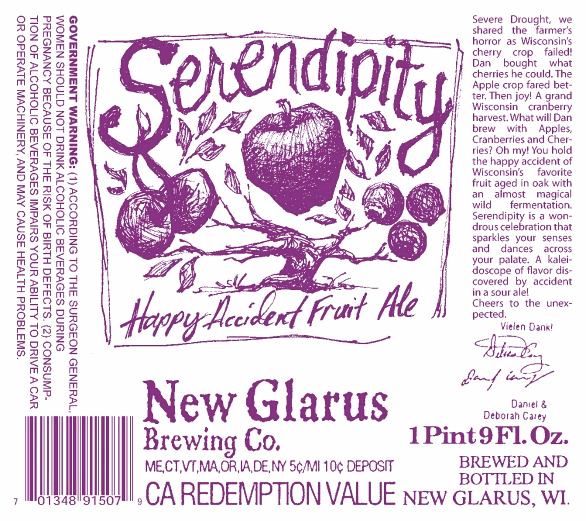 New Glarus’ Serendipity is a sour ale brewed with apples, cranberries and cherries; fermented with wild yeast and aged in oak. The brewery calls it a happy accident that resulted from this year’s failed cherry crop. Speaking of accidents, the geeks at RateBeer have been soiling themselves over Serendipity for weeks now (See that HERE). Now it’s your chance to get all damp with appreciation. Festival Foods in Oshkosh started out the day with just 20 bombers of the stuff. They lost the first one to me. If you don’t see it sitting on the shelf, let them know you want it and they’ll set you up. Pucker up, Oshkosh! 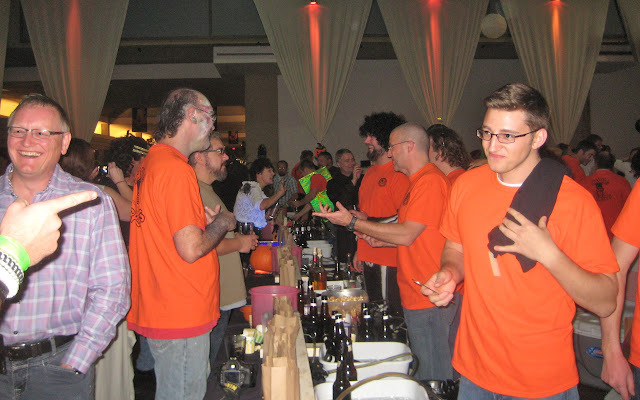 Saturday night, Oshkosh had the best beer tasting I’ve been to in a long time. The Society of Oshkosh Brewer’s Cask & Caskets festival in the Atrium at Becket’s featured more than 70 beers, wines, meads and ciders; all of it made by area homebrewers. It was also a historic event. 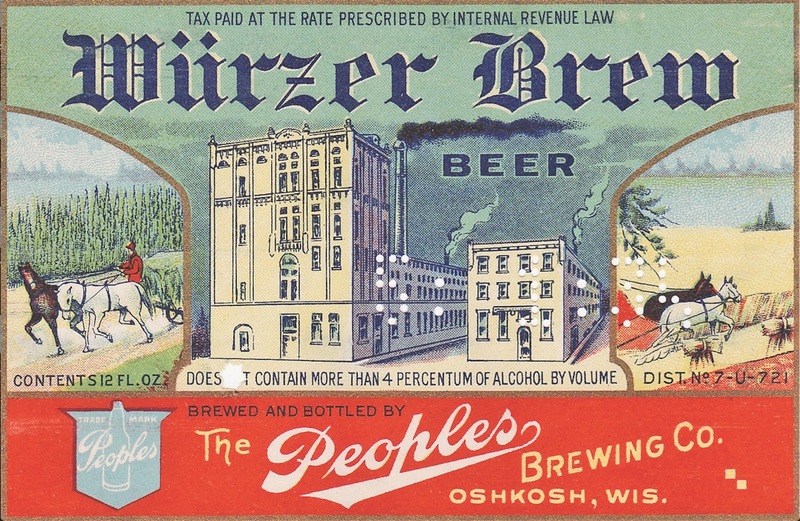 This was the first beer festival in Wisconsin to feature nothing but home-made libations. That’s what made this so different. Most beer fests are little more than schwills where people get bombed on the same brews available to them at their beer depot every day of the week. Most take little away from the night, but a hangover. Nothing wrong with that, I guess, but it gets tedious after you’ve stumbled through a few of them. Casks and Caskets was nothing like that. Each beer served was something the drinkers had never tasted before. It was a unique opportunity to try things that are truly different. A woman I talked to after the event told me it was the first beer fest she’d attended where every beer she sampled tasted good. That’s the thing about homebrewed beer. When it’s done really well, there’s nothing like the fresh, hand-crafted quality of homemade beer. And the response to those beers on Saturday night was phenomenal. I’ve never been to a sampling where I’ve seen so many people take such an active interest in what they were drinking. Because the people who made the beer were there pouring it, the give and take between the brewers and drinkers was ceaseless. It was an amazing thing to see. It was what a beer festival ought to be. The proceeds from Casks and Caskets will go to Oshkosh food pantries. The SOBs deserve recognition for the enormous amount of time, not to mention beer, they donated to make all of this happen. Let’s hope it’s just the first of many such beer tastings here. Saturday night was a great night to be a beer drinker in Oshkosh.